Hello. 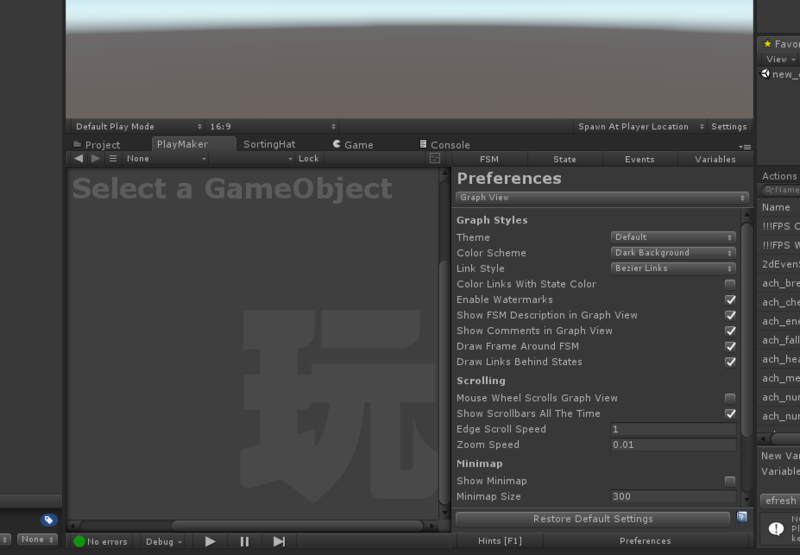 I have discovered that when Using the Unity Dark Theme, now the Playmaker FSM window is by far the brightest thing, and it would be super awesome if there were a darker background color. The only conflict I predict is the connection wires from state to state being too dark, too, so it would be cool to be able to set the default wire color for uncolored transitions and states. Then my life would be amazing. Thank you. Re: An Even Darker FSM Background Setting?